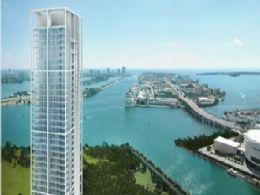 The Setai has been featured in, and spoken about favorably in numerous local South Florida newspapers. It practically oozes luxury and comfort from every square foot of its forty stories and features its own five star restaurant that has become an absolute must see and a highly delectable dining experience with both locals and celebrities. 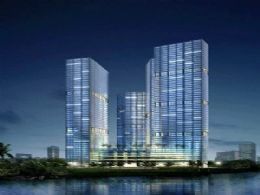 It’s also the only condominium in the entire city that will eventually house a state of the art recording studio designed with the help of bestselling recording artist Lenny Kravitz. One of the Setai’s most distinctive features besides its restaurant with exhibition kitchen is its highly exclusive and private club, founded by some of the biggest names in the world of music and modeling. The club features its own personal concierge, butler service, library and lounge. A boutique and art store and an opulent spa with a mind boggling list of services and treatments are complemented by private jet and yacht charters and an immense poolside bar with an international list of drinks. These amenities and features only scratch the surface of what you’ll find at the Setai and it is all rounded out by concierge, valet and security. The floor plans at the Setai are available with the choice of one to five bedrooms and feature floor-to-ceiling glass windows and private balconies with magnificent views of the Atlantic. Additionally you’ll find pre-wiring for high speed technology and kitchens with upscale brand Miele brand appliances, granite countertops and custom teak cabinetry. Bathrooms feature black granite flooring, Kohler brand fixtures and soothing whirlpool tubs. South Beach is an area where each day is never the same as the last. It’s the best spot in Miami to soak in Miami’s tropical sun and fun lifestyle and has a vast beachfront that is unquestionably the best you’ll find in the southern United States. Besides South Beach, the entire city of Miami is home to copious amounts of cultural and historic monuments, museums, sculptures and a superb architecture. It’s no surprise Miami has remained a top tourist destination; the city is just as eclectic and exciting as the residents and visitors who inhabit it.